Etched bodysides for the Wickham Railbus. 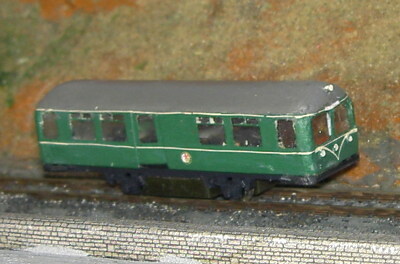 Designed as an aid for scratch-building the railbus on the Tomix railbus chassis. Bodysides only, not a complete kit. Etched bodysides for the 'Elliot' Railbus. Designed as an aid for scratch-building the railbus on the Tomix railbus chassis. Bodysides only, not a complete kit. The Ultima bogies have been upgraded over time. We have a small supply of remaining 'old' bogies for modellers trying to match old kits or build them as they would have been originally built. Etched brass. Requires 12 axle boxes (3 sets of UM502) and wheels. Bearings included. Etched brass. Requires wheels. Bearings included. Requires white metal axleboxes/springs UM504. See UM576 for an updated replacement. Old fold up bogie from the Cavndish range. 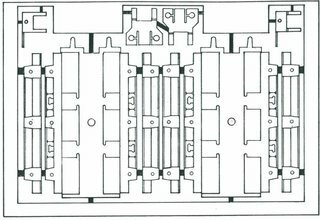 See UM575 for an updated multi-layer bogie etch for this bogie type. Nickel silver. Bearings included. You will need wheels/axles (Ultima UM180). These have been replaced with the new 3D print/etched 'Pro' coaches but are still available for those who prefer pure etched construction. This kit builds four etched coaches, two brake thirds (D340), a semi-corridor lavatory composite (D338) and a non corridor third (D339). The kit consists of a fold up body shell for each coach with end detailing overlays, plastic roof profiles, etched solebars, buffer beams, white metal battery boxes, dynamo etc, plastic torpedo ventilators and printed interior dividers. Accompanying the kit are instructions, roof, underframe and interior layout diagrams. You will need solder, paint, decals and bogies to complete the coaches. For N scale either the Ultima etched Gresley bogies or the Dapol Gresley bogies available from Ultima as UM580 can be used. For 2mm finescale suitable bogies and wheels are available from the 2mmSA. An optional detailing extra is the Ultima UM320 door and grab handles etch.